The Most Serene House of Braganza (Portuguese: Sereníssima Casa de Bragança), or the Brigantine Dynasty (Dinastia Brigantina), also known in the Empire of Brazil as the Most August House of Braganza (Portuguese: Augustíssima Casa de Bragança), is a dynasty of emperors, kings, princes, and dukes of Portuguese origin, a cadet branch of the House of Aviz. The house was founded by Afonso I, 1st Duke of Braganza, illegitimate son of King John I of Portugal, founder of the House of Aviz, and would eventually grow into one of the wealthiest and most powerful noble houses of the Iberian Peninsula of the Renaissance period. The Braganzas came to rule the Kingdom of Portugal and the Algarves after successfully deposing the Philippine Dynasty in the Restoration War, resulting in the Duke of Braganza becoming King John IV of Portugal, in 1640. The Braganzas ruled Portugal and the Portuguese Empire from 1640 and with the creation of the United Kingdom of Portugal, Brazil and the Algarves, in 1815, and the subsequent independence of the Empire of Brazil, in 1822, the Braganzas came to rule as the monarchs of Brazil. The House of Braganza produced 15 Portuguese monarchs and all 4 Brazilian monarchs, numerous consorts to various European kingdoms, such as Catherine of Braganza (wife of Charles II of England who introduced tea to Britain) and Maria Isabel of Braganza (wife of Ferdinand VII of Spain who founded the El Prado Museum), as well as sometime candidates for the thrones of Poland and Greece, Infante Manuel, Count of Ourém and Pedro, Duke of Braganza, respectively, and numerous other notable figures in the histories of Europe and the Americas. The Braganzas were deposed from their thrones in Europe and the Americas at the turn of the 19th–20th centuries, when Emperor Pedro II was deposed in Brazil, in 1889, and when King Manuel II was deposed in Portugal, in 1910. Following the reign of King John VI of Portugal, the Braganzas were split into three main branches of the family: the Brazilian branch, headed by King John VI's eldest son, Emperor Pedro I of Brazil, the Constitutional branch, headed by Emperor Pedro I's eldest daughter, Queen Maria II of Portugal, and the Miguelist branch, headed by King John VI's second eldest son, King Miguel I of Portugal. The Brazilian branch, following 1921, became the House of Orléans-Braganza, whose leadership is disputed by two branches of its own: the Vassouras branch, headed by Prince Luiz of Orléans-Braganza, and the Petrópolis branch, headed by Prince Pedro Carlos of Orléans-Braganza. 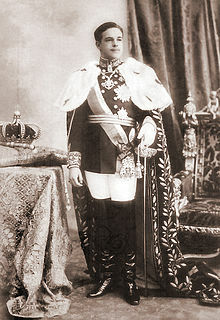 The Constitutional branch died out with the death of King Manuel II in 1932, passing its claim to the Portuguese throne to the Miguelist Branch, by way of Duarte Nuno, Duke of Braganza. The claim to the Portuguese Crown, and thus to the leadership of the House of Braganza, passed to Duarte Nuno's son, Duarte Pio, Duke of Braganza, who is currently the most recognized pretender to the Portuguese throne. Isabel of Braganza was the first to intermarry with the royal family, as wife of Infante João, Constable of Portugal. The House of Braganza originated with Afonso I, an illegitimate son of King John I of Portugal, founder of the House of Aviz, and Inês Pires. [a] Though Afonso was illegitimate, his father valued and cared for him a great deal, demonstrated by his arrangement of Afonso's marriage to Beatriz Pereira de Alvim, daughter of Nuno Álvares Pereira, Portugal's most important general and a personal friend of King John I. As well as increasing his social status by his marriage into a well-established house, Afonso also became the eighth Count of Barcelos, an honour ceded to him by his father-in-law, who had been made the seventh count by John I. With his newly consolidated place in the nobility of Portugal, Afonso commenced what would be a highly successful political and social career. In 1415 he took part in the Conquest of Ceuta, alongside his father, his brothers, and the leading members of the nobility and military. By the time of his father's death in 1433, Afonso had won favour with his brother, King Duarte I and the rest of high Portuguese society. With his brother's premature death in 1438, a regency was established for Afonso's nephew, the 6 year old King Afonso V, under the leadership of the king's mother, Leonor of Aragon, and later Afonso's brother, Infante Pedro, Duke of Coimbra. The Duke of Coimbra's regency, however, soon proved unpopular and Afonso quickly became the King's preferred advisor. On 30 December 1442, the Duke of Coimbra, still the King's regent and thus acting in his name, created Afonso as the Duke of Braganza, as a gesture of good will and reconciliation between the two brothers. Afonso's elevation to the dukedom, the highest level of nobility, marked the foundation of the House of Braganza, which was to become a key family in Portuguese history. As a result of the hard work and success of Afonso I, his children all secured successful positions and lived privileged lives. Afonso I's first son, Afonso of Braganza, was a prominent member of the nobility, having been ceded, by his grandfather, Nuno Álvares Pereira, the lucrative and powerful title of Count of Ourém, in 1422. He was an accomplished diplomat, and served as the king's representative at the Council of Basel in 1436, and the Council of Florence in 1439. In 1451, the Count of Ourém was made Marquis of Valença and escorted Infanta Leonor of Portugal to her husband Frederick III, Holy Roman Emperor. Later, in 1458, he participated in the capture and conquest of Alcácer-Ceguer. The Marquis of Valença, however, died in 1460, one year before his father and therefore did not succeed him. Afonso I's first daughter, Isabel of Braganza, married Infante João, Lord of Reguengos de Monsaraz, thus relinking the House of Braganza to the Royal House of Portugal. Isabel's strategic marriage proved successful, and produced four children, whose descendants would be some of the most important in Iberian history. Afonso I's last child and successor, Fernando I, Duke of Braganza, continued his legacy of prominence in the military and society. When Fernando I was born, in 1403, his grandfather, Nuno Álvares Pereira, ceded him the title of Count of Arraiolos. Fernando became an accomplished military man, participating in various Portuguese imperial campaigns. Though Fernando I was a popular and powerful member of the nobility, he did not always find himself in the favour of the king, most notably exemplified when Fernando I openly declaimed King Duarte I, at the Portuguese Cortes, on the topic of the rescue and recovery of the King's brother, Infante Fernando, Lord of Salvaterra de Magos from the Moors. However, Fernando I became a favourite of both the royal and imperial government and of King Afonso V, earning him the position of Governor of Ceuta and the titles of Marquis of Vila Viçosa and Count of Neiva. Fernando I's children, by his wife, Joana de Castro, Lady of Cadaval, continued to enlarge the influence of the House of Braganza. Of his nine children, all six who survived to adulthood established themselves either through positions or marriages, though the actions of King João II would seek to weaken their influence. Fernando I's first son and successor, Fernando II, was initially a bright and popular nobleman, but his conflict with King João II would see his and the House's downfall. His second son, João of Braganza, 1st Marquis of Montemor-o-Novo, was an accomplished military man and was made Constable of Portugal. Fernando's third son, Afonso of Braganza, became a popular nobleman of society and was made 1st Count of Faro. The Duke's fourth son, Álvaro of Braganza, inherited the fiefs of his mother, becoming the 5th Lord of Ferreira, 4th Lord of Cadaval, and 1st Lord of Tentúgal. Fernando's eldest surviving daughter, Beatriz of Braganza, married Pedro de Meneses, 1st Marquis of Vila Real. Fernando's last surviving child, Guiomar of Braganza, married Henrique de Meneses, 4th Count of Viana do Alentejo. Ultimately, however, Fernando I's children and grandchildren would suffer great difficulty under the reign of King João II. By the tenure of the third duke, Fernando II, the House of Braganza was undoubtedly one of the greatest noble houses of Portugal and Iberia as a whole. Fernando II continued the House's legacy of acquisition and gained the title of Duke of Guimarães. To the Duke and the House's downfall, however, King João II's reign concerned itself with the royal consolidation of power and the diminishment of the nobility. In his mission to centralize power, the King executed many nobleman of the great houses of Portugal, alongside confiscating their properties and exiling their families. Fernando II, having been a prominent and powerful nobleman, was accused of treason and executed by King João II; the House's titles and properties were merged into the crown and its members exiled to Castile. Due to their father's misfortunes, Fernando II's children, from his marriage to Isabel of Viseu, daughter of Infante Fernando, Duke of Viseu and Beja, initially had a tumultuous childhood; but King João II's successor, King Manuel I, who had previously himself been the Duke of Beja, chose to forgive the House and re-grant them all their properties in exchange for their loyalty. Fernando II's oldest surviving son and successor, Jaime I, returned to Portugal and reestablished himself at Vila Viçosa, the former seat of the Dukes. Fernando II's only other surviving son, Dinis of Braganza, married Beatriz de Castro Osório, Countess of Lemos, and had four children with her. João of Braganza, Marquis of Montemor-o-Novo led the Portuguese conquest of Tangiers in 1472. Jaime I's tenure as Duke of Braganza was one of restoration and grandness. Upon his return to Portugal from exile, Jaime took possession of the House's formerly confiscated properties. In order to establish a new image for the House, he ordered the construction of a new seat for the House, which would become one of the largest palaces in Iberia, the Ducal Palace of Vila Viçosa. Jaime I's restoration also continued with the House's relations with the King, Jaime I having becoming a favourite of King Manuel I and even once his temporary heir. The Duke also had his share of scandal, having funded the conquest of the city of Azamor, for the royal crown as, as punishment for his ordering the murder of his first wife, Leonor Pérez de Guzman, daughter of Juan Alfonso Pérez de Guzmán, 3rd Duke of Medina Sidonia. The children of Jaime I, both the two first children by his first wife, Leonor of Pérez de Guzman, and the later eight children by his second wife, Joana of Mendoça, all saw successful lives under the restored House of Braganza. Jaime I's first daughter, Isabel of Braganza, married Infante Duarte, Duke of Guimarães, and had three children, while his first son and successor, Teodósio I, was a successful prince of the Portuguese Renaissance. Five of Jaime I's children, Jaime, Maria, Fulgêncio, Teotónio, and Vicência, all entered into religious orders. The Duke's second daughter, Joana of Braganza, married Bernardino de Cardenas, 3rd Marquis of Elche, and his third daughter, Eugénia of Braganza, married Francisco de Melo, 2nd Marquis of Ferreira. Jaime I's only other son, other than Teodósio I, to not enter into the church, Constantino of Braganza, married Maria de Melo, daughter of D. Rodrigo de Melo, 1st Marquis of Ferreira, but had no children. Constantino was famed as a great officer of the Portuguese Empire, having served as the Viceroy of Portuguese India and Captain of Ribeira Grande, among other positions. Constantino of Braganza was Viceroy of Portuguese India & led the 1st Portuguese invasion of Sri Lanka. The fifth Duke, Teodósio I, is remembered for being the personification of the Portuguese Renaissance. A patron of the arts and scholarly noble, Teodósio I maintained the prestige of the House of Braganza, although not leaving a significant mark on the House's history. The Duke notably ceded the Dukedom of Guimarães to Infante Duarte of Portugal as the dowry of his sister, Isabel of Braganza. 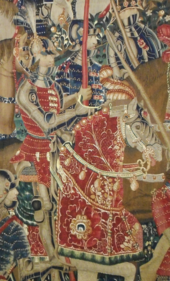 Teodósio I's first son, Jaime of Braganza, died before he could inherit his father's titles, fighting alongside King Sebastião I at the Battle of Alcácer Quibir. The Duke's only daughter, Isabel of Braganza, married Miguel Luis de Meneses, 1st Duke of Caminha, though their union had no issue. Teodósio I's last child and successor, João I, lived a very different life from Teodósio I's calm and relatively peaceful tenure, having been involved in the controversies of the Portuguese succession crisis of 1580 and the subsequent War of the Portuguese Succession. João I's tenure as Duke was one intertwined with controversy and intrigue. Having been married to Infanta Catarina, daughter of Infante Duarte, Duke of Guimarães, and thus a grandchild of King Manuel I, during the succession crisis of 1580, the couple pressed their claims to the Portuguese throne. Though Infanta Catarina was a popular claimant, her Habsburg cousin was eventually crowned Philip I of Portugal and the Iberian Union was established. 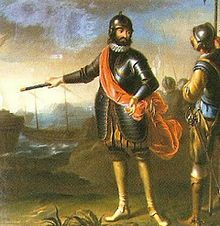 In an attempt at reconciliation with the Brigantine House, King Philip I renewed the title of Constable of Portugal, which João I had held previously, to the Duke's first son, Teodósio II, alongside other title and land grants to the Duke and the House. João I's daughters, Maria, Serefina, Querubina, and Angélica, were some of the most eligible ladies of Portugal and all Iberia, though the only one to marry was Serefina of Braganza, who married Castilian Juan Fernandez Pacheco, 5th Duke of Escalona. The Duke's oldest son and successor, Teodósio II, famously fought in the Battle of Alcácer Quibir at the age of ten and later became an accomplished general. João I's second son, Duarte of Braganza, was made 1st Marquis of Frechilla, and the Duke's third son, Alexandre of Braganza, became Archbishop of Évora, both receiving their titles and many concessions from King Philip I when the monarch was making amends with the House of Braganza. Unlike his other sons, João I's last son, Filipe of Braganza, died without marriage, children, or titles. The seventh Duke, Teodósio II, became famous at a young age, having been made page to King Sebastião I and having marched into the Battle of Alcácer Quibir, alongside the King and his uncle, Jaime of Braganza, at the age of ten. Teodósio II later pledged his allegiance and became a faithful countryman to the Philippine Dynasty, having even defended Lisbon against King Philip I's rival claimant to the throne, António, Prior of Crato, who had been acclaimed, by his supporters, as King António I of Portugal. In recognition for his military prowess, Teodósio II was made Constable of Portugal. The Duke's support and service to the Philippine Dynasty, earned the Braganzas more lands and titles and, by 1640, the House had amassed around 80,000 vassals, alongside numerous churches, orders, and institutions under its patronage. In 1603, Teodósio II married Ana de Velasco y Girón, daughter of Castilian Juan Fernández de Velasco, 5th Duke of Frías, and had four children with her. The Duke's first son and successor, João II, raise the House of Braganza to new heights of power, having launched the Portuguese Restoration War and been acclaimed King João IV of Portugal, thus installing the House as the ruling dynasty of Portugal. Teodósio II's second son, Duarte of Braganza, was made Lord of Vila do Conde and became a diplomat, serving at the court of Ferdinand III, Holy Roman Emperor, but later died a prisoner as a cost of the Restoration War. Teodósio II's two other children, Alexandre and Catarina, both died without children, titles, or marriage. 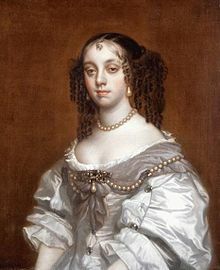 Queen Catherine of Braganza, wife of Charles II of England, credited with introducing the English to tea-drinking, popular with the Portuguese nobility. By 1640 the wise policies of D. Philip I in respect of Portugal were long past. The country was overtaxed, Portuguese colonies were left unprotected, and the King Philip III of Portugal no longer had the trust or support of most Portuguese nobility. He was especially loathed by the powerful Portuguese guild of merchants. Portugal, like the rest of Philip's kingdoms, was on the verge of rebellion. The eighth Duke of Braganza, D. João II of Braganza, had inherited the claim of his grandmother, Infanta Catarina of Portugal, and the remoter claim through of his grandfather João I of Braganza. Because of his claims, the discontent Portuguese nobility asked João II to lead their restoration as their king. According to court historians, D. João II was a modest man without particular ambitions to the crown. Legend says that his wife, Dona Luisa de Guzmán, daughter of the duke of Medina-Sidonia, urged him to accept the offer, saying "I'd rather be queen for one day than duchess for a lifetime." He accepted the leadership of the rebellion, which was successful, and was acclaimed João IV of Portugal on 1 December 1640. After the accession of the Braganzas to the throne, the duchy was linked to the Crown. "Duke of Braganza" became the traditional title of the heir to the throne, together with Prince of Brazil and, later, Prince Royal of Portugal, much as Prince of Wales is in the United Kingdom or Prince of Asturias in Spain. Under D. João's sons D. Afonso VI and D. Pedro II, the Portuguese colonial empire, part of which was lost during the Spanish occupation, was restored and expanded, bringing new wealth to Portugal. The zenith of the Braganza dynasty came with the long reign of D. João V (1706–1750), who ruled with grandeur and piety. The reign of D. José I, son of D. João V, was marked by the great earthquake, which struck Lisbon in 1755. The political genius of his reign was the 1st Marquis of Pombal. The end of the 18th century was characterized by stability, under the rule of Dona Maria I (1777–1816), who discharged Pombal at her accession. Unfortunately Dona Maria became psychologically unstable, displaying similar symptoms to George III of the United Kingdom in his later years. Queen Maria I became the first monarch of Brazil with the creation of the United Kingdom of Portugal, Brazil and the Algarves in 1815. In 1808, faced with impending Napoleonic invasion, the Braganzas transferred their royal court to the State of Brazil, Portugal's largest colony. Some time after they had crossed the Atlantic, a royal decree changed the status of Brazil from a Portuguese colony into kingdom alongside Portugal, and the United Kingdom of Portugal, Brazil and the Algarves was formed. In 1821, D. João VI, who succeeded in 1816, returned to Portugal. D. Pedro, Prince Royal of Portugal, Brazil, and the Algarves, the eldest son of D. João VI and also regent in Brazil, sided with the Brazilian rebels in January 1822. He was acclaimed Emperor D. Pedro I of an independent Brazil in 1822, founding the Empire of Brazil. D. Pedro I ruled Brazil until 1831, when he abdicated in favor of his young son D. Pedro II, and returned to Portugal to aid his daughter D. Maria II (see below). D. Pedro II, being only 6 years old at the time of his coronation, had a regency established. The regency would rule until 1840, when the Emperor turned 14 years old. His reign would last until 1889, when the Brazilian monarchy was abolished. His reign would see the abolition of slavery in Brazil, economic growth, and very long periods of tranquility and development in his empire. King-Emperor João VI's children split the Braganzas into 3 branches: the Brazilian Imperial branch, the Portuguese Constitutional branch, and the exiled Miguelist branch. In Portugal, D. Pedro I of Brazil became King as D. Pedro IV (1826), but no one wanted to re-establish the union of Portugal and Brazil. Pedro abdicated the Portuguese throne in favor of his daughter Princess Maria da Glória, then seven years old. D. Pedro's brother D. Miguel was to act as Regent, and to marry Maria when she came of age. In 1828, Miguel instead proclaimed himself King of Portugal and repudiated the liberal constitution granted by D. João VI, trying to establish an absolute monarchy. In 1828, Maria II was forced into exile by her uncle, the new King Miguel I. Her father D. Pedro IV of Portugal returned from Brazil, launched a successful military campaign, from the Azores, against Miguel I. He finally defeated and exiled Miguel I in 1834. Though exiled, Miguel would not give up his claim to the throne and would establish the Miguelist branch of the House of Braganza. 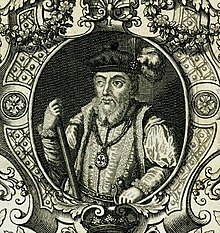 The strategic marriages of his children to the various royal houses of Europe would earn him the nickname the "Grandfather of Europe" (see Descendants of Miguel I of Portugal). Emperor-King Pedro I & IV achieved Brazil's Independence as Emperor of Brazil & won the Liberal Wars as King of Portugal. On 7 September 1822, Dom Pedro of Braganza, Prince Royal of Portugal, Brazil and the Algarves, member of the House of Braganza, heir apparent to the Portuguese throne and Regent of the Kingdom of Brazil, declared the country's independence from the United Kingdom of Portugal, Brazil and the Algarves and was acclaimed Emperor of Brazil. On 12 October, the prince was acclaimed Pedro I, first Emperor of the newly created Empire of Brazil, a constitutional monarchy. In 1825, signing the treaty of Rio de Janeiro of this date, his father, King Dom João VI, recognized the independence of the new state, the former Portuguese dominion, now Empire of Brazil. Pedro I encountered a number of crises during his reign. A secessionist rebellion in the Cisplatine Province in early 1825 and the subsequent attempt by the United Provinces of the Río de la Plata (later Argentina) to annex Cisplatina led the Empire into the failed Cisplatine War. In March 1826, João VI died and Pedro I inherited the Portuguese crown, briefly becoming King Pedro IV of Portugal before abdicating in favor of his eldest daughter, Maria II. The situation worsened in 1828 when the war in the south ended with Brazil's loss of Cisplatina, which would become the independent republic of Uruguay. During the same year in Lisbon, Maria II's throne was usurped by Prince Miguel, Pedro I's younger brother. Other difficulties arose when the Empire's parliament opened in 1826. Pedro I, along with a significant percentage of the legislature, argued for an independent judiciary, a popularly elected legislature and a government which would be led by the emperor who held broad executive powers and prerogatives. Others in parliament argued for a similar structure, only with a less influential role for the monarch and the legislative branch being dominant in policy and governance. The struggle over whether the government would be dominated by the emperor or by the parliament was carried over into debates from 1826 to 1831 on the establishment of the governmental and political structure. Unable to deal with the problems in both Brazil and Portugal simultaneously, the Emperor abdicated on behalf of his son, Pedro II, on 7 April 1831 and immediately sailed for Europe to restore his daughter to her throne. Pedro II became the last Emperor of Brazil after the Proclamation of the Republic of Brazil in 1889. Isabel of Braganza, Princess Imperial of Brazil signed the Lei Áurea in 1888, abolishing slavery in Brazil. Pedro I's successor in Brazil was his five-year-old son, Pedro II. As the latter was still a minor, a weak regency was created. The power vacuum resulting from the absence of a ruling monarch as the ultimate arbiter in political disputes led to regional civil wars between local factions. 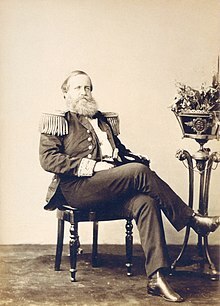 Having inherited an empire on the verge of disintegration, Pedro II, once he was declared of age in 1840, at 14 years old, managed to bring peace and stability to the country, which eventually became an emerging international power. Brazil was victorious in three international conflicts (the Platine War, the Uruguayan War and the Paraguayan War) under Pedro II's rule, and the Empire prevailed in several other international disputes and outbreaks of domestic strife. With prosperity and economic development came an influx of European immigration, including Protestants and Jews, although Brazil remained mostly Catholic. Slavery, which had initially been widespread, was restricted by successive legislation until its final abolition in 1888 by Princess Isabel. Even though the last four decades of Pedro II's reign were marked by continuous internal peace and economic prosperity, he had no desire to see the monarchy survive beyond his lifetime and made no effort to maintain support for the institution. The next in line to the throne was his daughter Isabel, but neither Pedro II nor the ruling classes considered a female monarch acceptable. Lacking any viable heir, the Empire's political leaders saw no reason to defend the monarchy. Although there was no desire among the majority of Brazilians to change the country's form of government, republicans began pressuring army officers to overthrow the monarchy. After a 58-year reign, on 15 November 1889 the Emperor was overthrown in a sudden coup d'état led by a clique of military leaders whose goal was the formation of a republic headed by a dictator, forming the First Brazilian Republic. Throughout the coup Pedro II dismissed all suggestions put forward by politicians and military leaders for quelling the rebellion. The Emperor and his family were exiled to the Portuguese kingdom and France. Although there was significant monarchist reaction after the fall of the Empire, this was thoroughly suppressed, and neither Pedro II nor his daughter and heiress supported a forced restoration. Manuel II, last King of Portugal and the last Braganza to rule as a monarch. Maria II married Prince Ferdinand of Saxe-Coburg and Gotha. Head of the House of Braganza and recognized pretender to the Crown of Portugal since 1976.]] In 1835, Queen Maria II of Portugal married Prince Ferdinand of Saxe-Coburg-Gotha, later King Ferdinand II of Portugal. Despite the tradition of following the custom of patrilineal descent of royal houses, common throughout Europe, Article 5 of the Portuguese constitution of 1826 stated that "The Reigning Dynasty of the Most Serene House of Braganza Shall Continue in the Person of Lady Princess Maria da Glória, by the Abdication and Cession of Her August Father Lord Pedro I, Emperor of Brazil, Legitimate Heir and Successor of Lord João VI.". 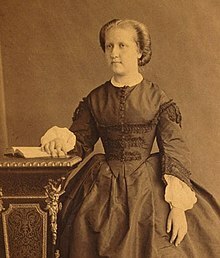 Maria II was succeeded in 1853 by her son D. Pedro V, a hard-working reformer who died prematurely in 1861 due to cholera. D. Pedro V was succeeded by his brother D. Luís, as D. Pedro V had no children. D. Luís I was succeeded in 1889 by his son D. Carlos I. Carlos I's popularity dramatically declined after an unfavorable deal from an incident known as the British Ultimatum, whereby the Portuguese Empire ceded its claim to territories (known as the Pink Map) between Portuguese West Africa and Portuguese East Africa to the British. Pursuant to his unpopularity, the monarchy became increasingly unpopular in the country. King Carlos I was assassinated in 1908 together with his eldest son, D. Luís Filipe, Prince Royal of Portugal and Duke of Braganza, by republicans. His younger son, D. Manuel, Duke of Beja, survived the attack on his father and elder brother and became king as Manuel II, but was toppled two years later in the 1910 republican revolution. After the revolution, Manuel was forced into exile in England by the Portuguese First Republic, but he would continue to support his fatherland until his death. 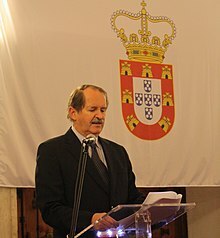 D. Duarte Pio, Duke of Braganza, Head of the House of Braganza and recognized pretender to the Crown of Portugal since 1976. After the revolution of 1910, King Manuel II settled in England until his death in 1932. He was childless, and descendants of Miguel of Braganza (the usurper of 1826) claimed the throne. In 1920–22, the two (of the now four) branches of the House of Braganza negotiated an alleged pact under which Manuel II named as his heir Duarte Nuno of Braganza, grandson of Miguel. Duarte Nuno, now Duke of Braganza, remained the Braganza pretender until his death in 1976. In 1942, he married a great-granddaughter of Emperor Pedro II of Brazil, uniting the two lines of the House. In 1950 Portugal repealed the law of exile against the Braganzas, and D. Duarte Nuno moved to the country in 1952. Duarte Nuno was succeeded as pretender by his son, Duarte Pio of Braganza (born 1945). Duarte Pio served in the Portuguese Armed Forces and took the customary oath of allegiance to the Republic, but Portuguese monarchists recognize him as the pretender to the Portuguese throne. In 1995 he married Isabel de Herédia, a Portuguese businesswoman and descendant of the Viscount of Ribeira Brava. He worked actively in support of the independence of East Timor from Indonesia. Duarte Pio and Isabel have three children. Duarte Pio's oldest son is Afonso de Santa Maria, who bears the traditional titles of Prince of Beira (as heir apparent to the Portuguese pretender) and Duke of Barcelos (as heir apparent to the Duke of Braganza). He has a brother Dinis, Duke of Porto, and a sister, Infanta Maria Francisca. Prince Bertrand of Orléans-Braganza, Prince Imperial of Brazil and speaker on behalf of his brother Prince Luiz of Orléans-Braganza, Head of the Brazilian Imperial Family since 1981. Maria Pia of Saxe-Coburg and Braganza, who claimed she was an illegitimate daughter of King Carlos I of Portugal, began asserting that she was the heir to the throne from 1957. Allegedly, she adopted the Italian Rosario Poidimani, transferring her claimed rights to the Portuguese throne to him. After the military coup of 1889, Emperor Dom Pedro II settled in France until his death in 1891. His eldest daughter and family went to live in the Chateau d'Eu in French Normandy. She was recognized by Brazilian monarchists as Empress-in-Exile as Dona Isabel I of Brazil until her death in 1921. She was succeeded by her grandson, Prince Pedro Henrique of Orléans-Braganza, as Head of the Imperial House of Brazil, and he by his son and current Head, Prince Luiz of Orléans-Braganza. With the end of the banishment of the Imperial Family in 1920, some princes returned to live in Brazil, while another remained in Europe. After the end of World War II, Prince Pedro Henrique, then Head of the Imperial House and married to Princess Maria Elisabeth of Bavaria, returned to Brazil with his family. The Imperial House of Brazil divided into rival branches because of the renunciation of Pedro de Alcântara, Prince of Grão-Pará in 1908 and the subsequent repudiation of that act by his descendants. While some members of the two branches of the family subsequently lived in the Grão-Pará Palace, some married royalty or nobles and have lived in Europe, and others elsewhere in Brazil. A 1993 referendum on restoration of the monarchy was defeated, garnering 13.2 percent of the vote against 66 percent for the republic. Members of both the so-called Petropolis branch of Braganzas (Princes Pedro Gastão and his nephew, Joazinho of Orléans-Braganza) and the more broadly recognised Vassouras line of the Imperial Family led by Prince Luiz Gastão of Orléans-Braganza, participated in the restoration effort, and the Head of the Vassouras branch continues to lead a growing movement to restore the monarchy. D. João II of Braganza – The first Braganza King of Portugal as King João IV. The 1st Emperor of Brazil and King of Portugal as Emperor-King Pedro I & IV. The traditional symbol and crest of the House of Braganza is a green wyvern, commonly taken to be a dragon, representing Saint George, patron saint of Portugal. This symbol can be found in many different monuments in Portugal and Brazil, such as the Monument to the Independence of Brazil in São Paulo and in the palaces of the Imperial family in Rio de Janeiro and Petrópolis. It is famously found atop the Portuguese Crown Sceptre, the Sceptre of the Dragon and the Sceptre of the Emperor of Brazil. The wyvern is also sometimes used as a supporter in the coat of arms of both the Brazilian and Portuguese branches of the family. Because of its use in heraldry by the Braganza as the ruling house, and given Pedro IV's link with Porto, a dragon was added to the old coat of arms of the municipality of Porto and is still a part of FC Porto's coat of arms, who are nicknamed "The Dragons". Since the 17th century, the House of Braganza has allegedly suffered from the Curse of the Braganzas (Portuguese: Maldição dos Braganças). For supposedly mistreating a Franciscan friar, a curse was purportedly placed on King João IV of Portugal, stating that never again would a first-born male of the Braganza Dynasty would live long enough to succeed to the throne. Since the reign of King João IV, all first-born Braganza males, with only three exceptions, have died before they had the opportunity to reign as monarch, either in Portugal or Brazil. and the Marquesses of Lavradio in Portugal. Genealogical tree of the Brazilian branch House of Braganza, from its first monarch, Pedro I, Emperor of Brazil, to the issue of Pedro II, the last Emperor of Brazil. ^ There is some controversy regarding the ancestry of Inês Pires (born in Borba, c. 1350). She was the daughter of Pedro Esteves (for that she is sometimes called Inês Pires Esteves) and Maria Anes ("Grande Enciclopédia Portuguesa e Brasileira", Editorial Enciclopédia, Lisboa, vol. 4, pp. 172; António Caetano de Sousa, "História Genealógica da Casa Real Portuguesa", Atlântida Ed., Coimbra, 1946, vol. 2, pp. 25). Some historians and genealogist claim that her father was a converso – a Jew converted to Catholicism (Augusto Soares d' Azevedo Barbosa de Pinho Leal, "Portugal Antigo e Moderno", Cota d' Armas, Lisboa, 1990; Isabel Violante Pereira, "De Mendo da Guarda a D. Manuel I", Livros Horizonte, Lisboa, 2001), while the majority of sources give her a long and well attested noble Christian ancestry (Felgueiras Gayo, "Nobiliário das Famílias de Portugal", Carvalhos de Basto, Braga, 1989). ^ McMurdo 1889, p. 363. ^ Portuguese Constitution of 1826 p. Title 1, Article 5. ^ a b c Podesta, Don. 20 April 1993. Claimants Dream of New Brazilian Monarchy. ^ Justiça Eleitoral. Resultado Geral do Plebiscito de 1993.